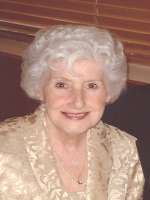 Rita C. Farrell, 84, of Phoenix, AZ passed away peacefully on February 17, 2010. Rita was born on December 31st, 1925 in New York City. She was preceded in death by her husband of 60 years, Patrick, and survived by her children Barbara Paul, Maryanne Mercure (Randy), Pat (Julie), Michael (Cindy), and Steve. She also leaves 6 grandchildren and 8 great grandchildren. 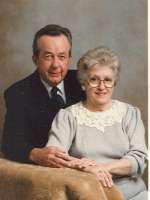 Rita and Pat began their married life in Flagstaff in 1946 before moving to Phoenix in l954. She lived a full and happy life with her family always at the center of her attention. Her personal motto in life was “one day at a time, and make it a masterpiece”. Rita left her family and friends with the knowledge that she will always be remembered and loved. Funeral Mass is planned for Saturday, February 20th at Holy Spirit Catholic Church, 1800 E. Libra Drive, Tempe, at 11:00 a.m. Private burial service, with Mom completing the masterpiece and re-joining Dad, will be on Tuesday, February 23, at the Veterans National Memorial Cemetery. Robert J. Sheahan, 79, died on Wednesday, February 17, 2010, in Scottsdale, surrounded by the love of his family and in the care of Hospice of the Valley. Born in Chicago he moved to Phoenix and was a 58-yr. resident of the Valley and always an active member of his Church and community. He was a financial and estate planner held in high regard by his peers and his clients. He was credentialed as a CLU, CFP,CHFC. He was a Knight of Columbus for over 45 years, and over the years served in many capacities in the Catholic Church as a member of the Catholic Community Foundation, Diocesan School Board, Parish Council of St. Daniel’s and St. Theresa’s, among others. He held many leadership positions in his professional societies serving CLU and sitting on NASD boards. His deep faith in Christ and his love of his family guided him all of his life. He was active in schools and activities of his children, and he and his deceased wife Margot established a support group for the grieving and bereaved at St. Theresa’s Church. He was very proud of his family, of the work he did for others and on behalf of others. He was predeceased by his parents, his first wife, Margot, in 2005 and his eldest son, Michael, in 1979. He is survived by his brother William Sheahan of Chicago, his sister Maribeth Lamparski of Chicago, his son Matthew Sheahan (Lucy) of Sacramento, his daughter Mary McAllister (Keith) of Phoenix, his second wife Jane Olney Sheahan of Phoenix, and his much-beloved grandchildren Daniel, Mary Catherine, Caroline, Michael and Kevin Sheahan, and Martin (Michelle), Michael, Mark, Matthew, and Kaitlin McAllister, plus great-grandchildren Jason and one soon to be born. He will also be missed by many nieces, nephews, friends and business associates. It was a privilege to be counted as his friend. Bob was a man of the highest integrity, great honesty, strong moral and ethical beliefs, and noted for his great love of God and family. A visitation will be held Monday Feb.22 from 5 to 8 PM at Whitney-Murphy Arcadia Funeral Home, 48th st E. Indian School Road. Mass of the Resurrection will be celebrated at 10 AM Tuesday at St. Theresa’s Catholic Church, 50th st E. Thomas Road, Phoenix, with a reception to follow at the Church. Interment at St. Francis Cemetery. In gratitude for the beautiful care he received at Hospice of the Valley, contributions to them would be appreciated. Susan Louise Owens, our beloved “New England brunette” born October 4, 1946 in Taunton Massachusetts to William and Eleanor Lawlor, passed away on Thursday February 18, 2010 after a tremendous fight that would make any Irishman proud. Susan was a devoted, selfless, and loving wife and mother who touched the lives of all who knew her. She is survived by her husband of thirty years, Frank J. Owens, their two daughters Roisin Owens and Megan Owens Thompson and her three sisters Linda and Gigi Lawlor and Betsy Malizia. A visitation and service will be held Sunday February 21st at Whitney and Murphy Funeral Home in Phoenix from 1:00-3:00 for all friends and family. She will always be in our hearts. 67, passed away February 13, 2010 at Hospice of the Valley. Mary was born on January 16, 1943 in Appleton, WI. In 1964, Mary met John Reznichek at her family’s dairy in Kaukauna, WI. They were wed in 1965 and had three children. Mary is survived by her husband, John, three children, Debbie Terhark (Joe) of Chandler, AZ, Jennifer Orr (Mike) of Las Vegas, NV and Dan Reznichek of Chandler, AZ and three grandchildren (Kylee & Ben Terhark, John Reznichek). Mary’s celebration of life will be held Friday, February 19, 2010 at 11:00 AM at King of Glory Church at 2085 E. Southern Ave., Tempe, AZ. Her family requests that in lieu of flowers, donations are sent to King of Glory Church, Ruud Memorial: Mexico Mission, Come Build Hope. passed away in his home at the age of 68 surrounded by his family and loved ones on the morning of February 20, 2010. He was born in Phoenix on May 31, 1941, the third oldest of ten siblings. He attended St. Mathew’s Elementary School, Brophy College Preparatory, and St. Mary’s High School, after which he served four years in the United States Navy. A third-generation Phoenician, Tom began a very successful career in the beverage industry driving a delivery truck for Hensley and Co., a local Anheuser-Busch distributor, where his outgoing personality and strong work ethic led to his promotion into management. 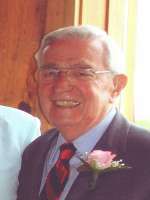 In 1995, at the age of 55, Tom changed from his work clothes into his trademark white t-shirts and blue jeans for good, after which he spent his retirement golfing, skiing, or simply relaxing at his cabin in the White Mountains and driving his restored 1959 MGA to all corners of the state. Tom was successful in life, but humble in spirit, and his kindness and generosity to friends and family were legendary and cherished by those who knew him well. Always quick to use his sense of humor to diffuse tense situations, or simply bring a smile to someone’s face, Tom kept his family and friends happily laughing well into the final days of his life. A cherished father and husband, his life will always be recounted in the constant retelling of the many endearing stories and humorous anecdotes which he shared with us all on many occasions. While Tom was very successful in his professional life, traveled much of the globe, and enjoyed the fruits of his hard work, he derived the greatest joy from life’s simplest pleasures, such as playing a round of golf with his brothers, teaching his nieces and nephews how to ski, taking a long, solitary walk on a mountain road, or simply preparing homemade fajitas and fresh pico de gallo for his family and friends. Tom spent the final years of his life bravely battling Alzheimer’s disease and was cared for in the comfort of his own home by his intrepid and devoted wife. He was predeceased by his parents, Vincent de Paul and Edna Conley, and his older brother, Paul Conley. He is survived by his wife of 44 years, Lupe, and children Thomas, Harry, and Kathleen; his brothers Timothy (Robin) Conley, Danny (Renata) Conley, and Mark (Susie) Conley; his sisters Micaela Hain, Bemo (Bill) Siska, Brigid (Hank) Ragland, Sheila Whitfield, and Mary Kathleen Conley. A visitation will be held at St. Mary’s Basilica located at 231 North 3rd Street, Phoenix, AZ 85006, on Thursday, February 25, beginning at 9:00 a.m., followed by a Rosary at 9:30 a.m., and the Funeral Mass at 10:00 a.m. In lieu of flowers, the family has requested that donations be made in Tom’s name to Hospice of the Valley, 1510 E. Flower St. Phoenix, AZ 85014. Arrangements entrusted to Whitney & Murphy Funeral Home. joined the Lord in heaven on February 20, 2010. She passed away peacefully at home after a brave fight with neuroendocrine carcinoma. She was surrounded by her beloved family and close friends. She was born Maria Evita Luisa Tan Labro in Cebu City, Philippines to Jose and Leonila Labro. She was raised in Catbalogan, Samar, earned a Bachelor of Science in Nursing from Far Eastern University in Manila, then was recruited to work for St. Joseph’s Hospital in Phoenix, AZ in 1980. She met her husband-to-be Teodoro Medina “Teddy” Saquilayan while she was a 3rd-year nursing student and married him on June 12, 1984. She gave birth to her daughter Yvette Joanne “Joni” Saquilayan on April 3, 1985 and to her son Theodore Joseph “TJ” Saquilayan on June 12, 1988. She worked as a Registered Nurse for St. Joseph’s Hospital in the Medical Intensive Care Unit for 28 years and the Post-Anesthesia Care Unit for her final 2 years. She was very active in the Phoenix-area Filipino/Asian community, where she served as the 2006-2008 President of the Philippine Nurses Association of Arizona and a Board Member for the Asian-Pacific Community in Action, among several other leadership positions. Some of her more memorable awards include the Outstanding Leadership Award by the Philippine Nurses Association of America, Inc., the Acts of Caring Award by the Global Caring Nurses Foundation, Inc., and the 2008 Nurse of the Year in Community Service Award by the Philippine Nurses Association of Arizona. Above all, she was a selfless woman who always put family, friends, her patients, and even strangers before herself. She was genuine, honest, and full of integrity. She enjoyed the simple pleasures in life, especially just being with her family, whether that be trips to the movies or out of town on family vacations. She is preceded in death by her father, Jose, to whom she was very close to, along with her mother-in-law Eustaquia Saquilayan and father-in-law Jose Saquilayan. She is survived by her husband Teddy, daughter Joni, son TJ, mother Leonila, sisters Marilin Allena (Noli) and Irma Asuncion (Alwyn), brothers Edwin Labro (Lydia) and Joselito Labro, and several loved brothers/sisters-in-law and nephews/nieces. Visitation will be held on Thursday and Friday, February 25 and 26 from 6-9 pm at Whitney & Murphy Funeral Home, 4800 E. Indian School Rd. Phoenix, with a Rosary starting at 7pm. Funeral Mass will be held at St. Gregory Catholic Church at 1:00 pm, Saturday, February 27 at 3424 N. 18th Ave. Phoenix. Interment at St. Francis Catholic Cemetery. Per her request, please wear white to her funeral. All are welcome to come celebrate her life. Passed away February 13, 2010. He was born December 10, 1943. Richard is survived by his lovely wife of 37 years, Frances, 4 children, Yvonne, Yolanda, Richard, Jr., and Mariajorjina and 8 grandchildren. Visitation will be from 4:00 – 6:30 pm, with a Rosary at 7:00 pm, Sunday, February 21, 2010 at Whitney & Murphy Funeral Home, 4800 E. Indian School Road, Phoenix. Funeral Mass will be at 10:00 am, Monday, February 22, 2010 at St. Gregory Catholic Church, 3424 N. 18th Avenue, Phoenix. Interment will follow.